Hello there Cowgirls! 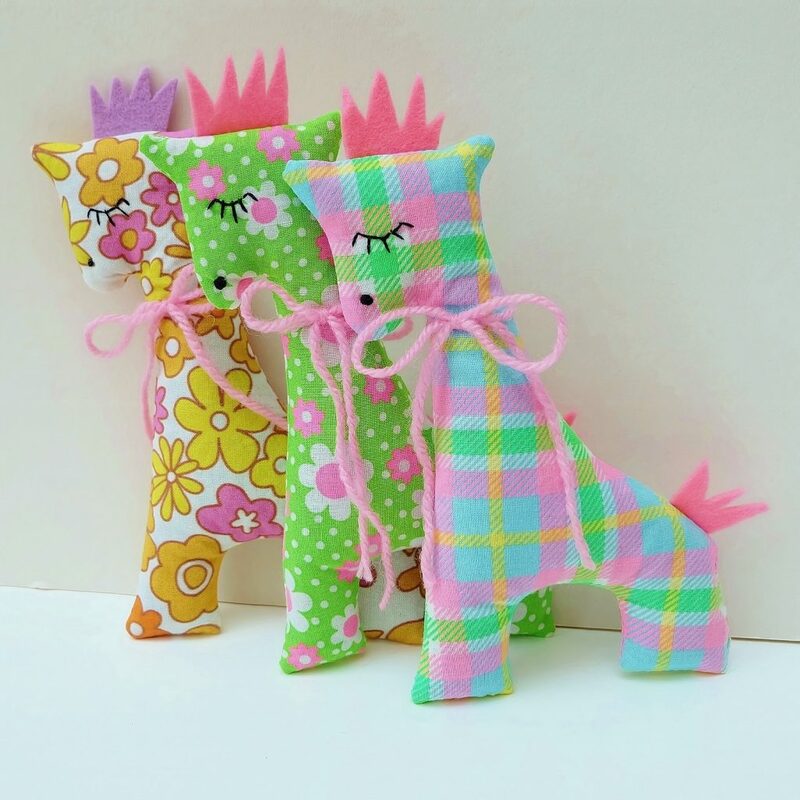 I have a number of new designs planned for this Spring…and these lavender sachet giraffes are the first to launch. The first one has just been sold online in my Etsy shop and more are on their way! It’s always so nice to create something new and to know that someone, somewhere, has fallen in love with it and decided they must have it. I really like these giraffes, with their cheery fabric and wool felt manes and tails and have enjoyed making them. I’ll post more pictures when there are more giraffes to show you! Add a delicious scent to your clothes in a drawer, or pop one of these cuties into your pillow to help you drift into a deep and relaxing sleep…. This entry was posted in Uncategorized and tagged 70's style fabric decorations, craft, etsy uk, giraffe, giraffes, Handmade, lavender sachets, new design, retro fabric sachets, The Whistling Cowgirl, uk handmade.